(Worthy News) - A Dutch carpenter who built his own replica of Noah's Ark has announced plans to sail the 2,500-ton vessel to Israel (though, minus the animals). 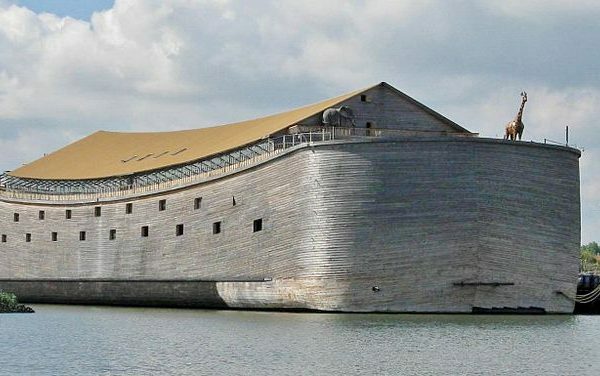 The ark's builder, Johan Huibers, 60, a devout Christian from the Netherlands, said it looks like the original: "I created a replica true to the original ark described in Genesis." For all the negative comments: Never think you'll win against the creator. Cause rest assure HE will have the last call on judgment day. Thank the Lord Noahs Ark is real and it bought order that was soon our of order again for people do not like the way, truth and life found in the Bible and want to be God themselves, destroying all that is good and we see good as evil and evil now as good! LORD HELP!